The highest honour for european football, every club and every player participating has an eye for the ultimate glory “The Champions League Cup”. We took a look on the 32 participating teams and have come up with four strong contenders for this years UEFA Champions league based on their history, team work, squad and performance. Real Madrid (Spain): – Also known as the Galácticos the club is famous for its impressive money spending habits to sign football stars from across the world. They have a rich UCL records overall and have recently won the competition in 2000, ’02 and 2014. Strengths:- Real Madrid is a galaxy of stars. Currently they are on the top of the league with EL Classico rivals Barcelona. The club has star striker Cristiano Ronaldo who can decide matches along with Bale and Benzema. 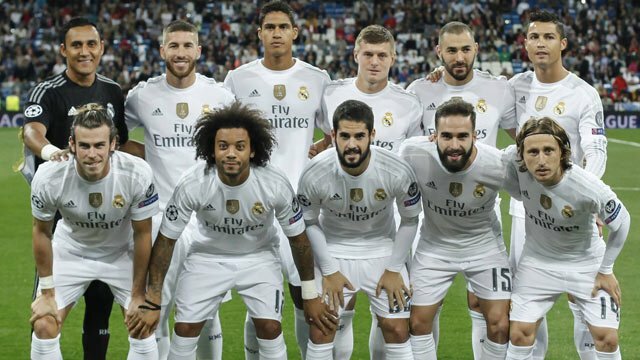 They posses an energetic midfield with the likes of James Rodrigues, Isco and Luka Modric. RM has an experienced defence which includes Sergio Ramos and Pepe. New signings include Norwegian sensation Martin Ødegaard who is just 16 years old and is been seen to be the future star at RM. They had also signed World cup best goalkeeper Navas who will be doing the job between the sticks this season. Paris Saint German(France): – PSG is a again a strong contender for the Champions league this season. The French Ligue winners for the last three years and currently standing on the top this year. The club has impressed very much after the Qatari takeover. The owners have invested huge amount of money for buying world class players in the last three years. Strengths:- PSG’s game has improved this season and they are playing with a lot of maturity. They are the club who are ready to risk anything for the European Glory which they haven’t ever won. The squad has world class players like Ibrahimovic, Cavani, Pastore and Verratti. PSG are also defensively strong with brazilians David Silva and David Luiz in the team. Their new signing Angel Di Maria has made the team stronger. Di Maria is doing impressively well after a frustrating year at Man Utd and would be one of the key reason if PSG wins this year. 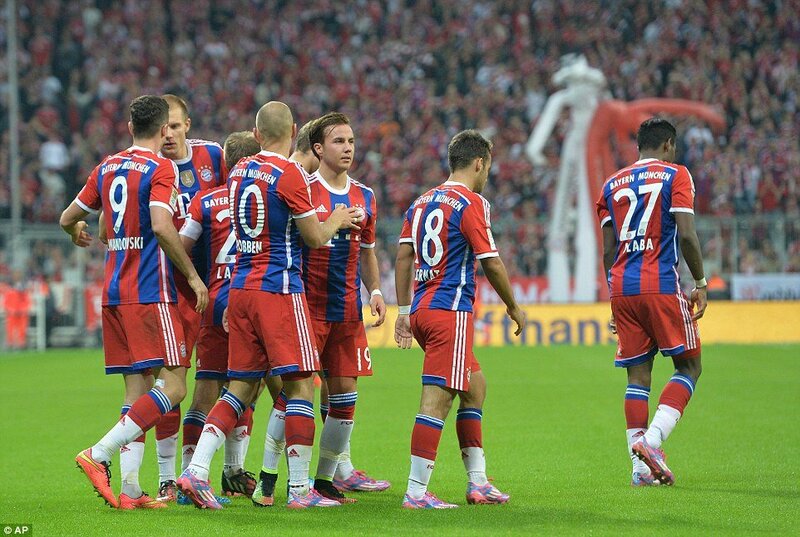 Bayern Munich (Germany): – They are a team to beat. Pep Guardiola’s men are one of the most synchronized club and are a serious contender for the trophy from the last three years. This German club’s reputation has increased since 2013 where they won the Champions league after 12 long years. The team also includes lot of players who recently won the world Cup 2014. They were also close last year but were eliminated by the eventual title winner Barcelona in the knock out stages. Strengths: – The Bayern Munich team displays a lot of team work and accurate passing. They also have an advantage in form of Pep Guardiola, the coach who took Barcelona to the European glory and treble during his time in Spain. The club has won the Champion’s league recently in 2001 and 2013. They have a super squad which includes strikers like Arjen Robben, Thomas Muller, Robert Lewandowski and Mario Gotze. They have got an experienced squad with captainship of Philip Lahm and midfielders Xabi Alonso, Ribery and Boateng. One of the biggest strength of Bayern is their world class goal keeper Manuel Neur. The sweeper keeper is currently the best in world and has made it difficult for the opponents to score. New Signings: Bayern has strengthened their squad during the transfer window. They have added Juventus midfielder Arturo Vidal. Vidal had an impressive season with Juventus last year and took the team to UCL final. Douglas Costa is an impressive addition to the team. The Brazilian who is known for his speed, dribbling and crossing abilities was signed for €30 million this year. FCB Barcelona (Spain):- The current title holders are among the favorites to lift the trophy again this year. FCB has won the competitions four times since 2006. They won the treble last year and are currently top of La Liga and their Champions league group. The Catalans are famous for their tiki-taka style and possession based football. Strenghts:- They are currently having the best strike force in the world. The brutal trio of Messi, Neymar and Suarez are destroying opponents since the start of 2015. The midfield is graced by Iniesta, Rafinha and Rakitic who are making smart passes and are continuously creating chances. Promising youngsters like Sergio Roberto, Munir and Samper has given Barcelona more options as they are currently facing ban for signing new players till Jan ’16. The attacking defenders Jordi Alba and Dani Alves make parallel runs from the left and right side to provide crosses to the attacking trio. However the heart and brian of the team is Messi who is also considered to be the best footballer ever by many football pundits. Messi gives an added advantage to the team. With Messi the team appears very strong and motivated. They can dream big and they are all set to repeat the feat again this year. There is still a long way to go in Champions League and anything can happen in football. The final of the Champions League will be played in June ’16 at Berlin (Germany).